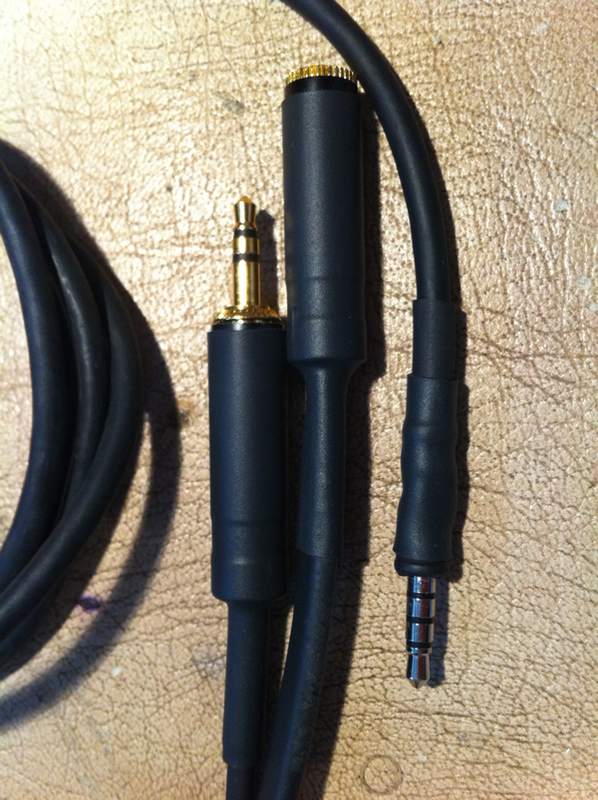 Here is a line input / headphone output cable I Made from an old Nokia audio /video cable.. Built specially for my Sennheiser G2 / EW 300 IEM wireless combination.. As this is an unusual combination, I had no choice but to build my own cable.. The in ear monitor receiver has an output impedance of a mere 30 ohms as it is designed to drive headphones.. Therefore whilst designing the pad to match the iPhone's mic input I could also factor in the correct impedance to suit the IEM's low output.. 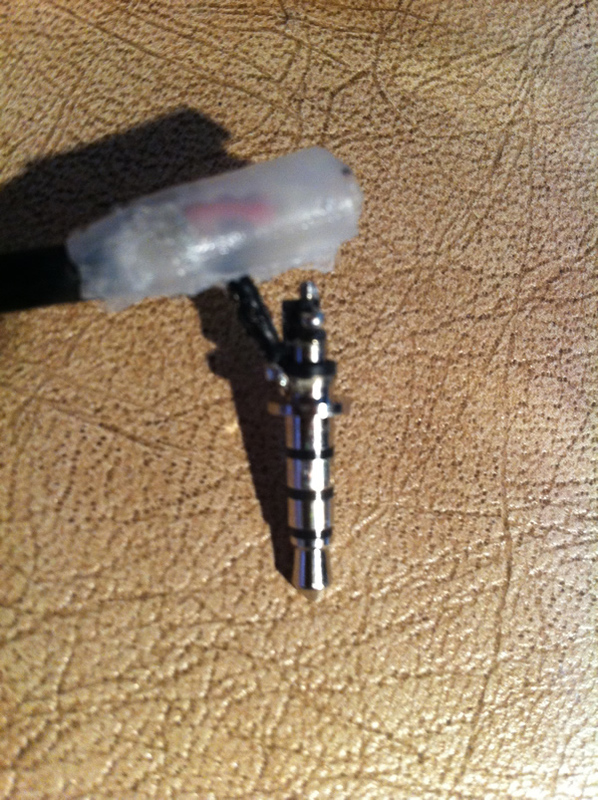 This cable should also work with the Sennheiser base and belt pack receivers.. Though a little tweaking of the resistor values (see fig 2) may be necessary. 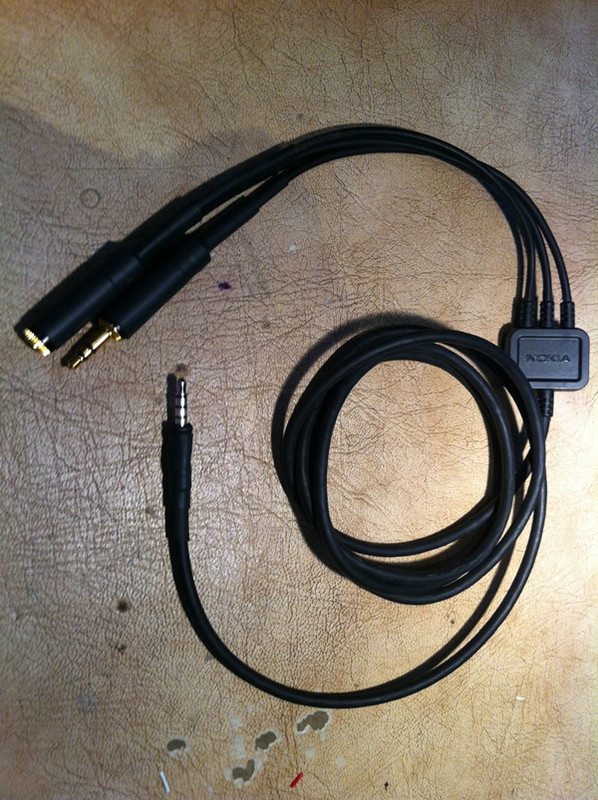 There are several caveats when making an iPhone cable from a standard audio / video cable. First, the ground connection is on the sleeve.. 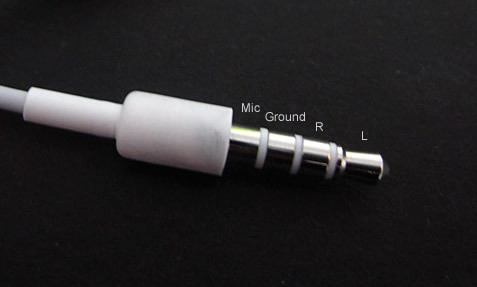 If you take a look at the iPhone plug pin out (fig 1), on the iPhone this is actually the mic connection! Therefore you have no choice but to break open the moulded TRRS jack and rewire the connections.. Not the easiest of jobs but with care, quite doable.. Another issue is in the design of the jack it's self. Like most off-the-shelf 3.5 mm TRRS Jacks, the sleeve connection (which is now our mic connection) is also part of the metal base of the jack. Plug that into an iPhone 4 for example, and the mic connection is shorted to the metal edge! At least one of the commercial manufacturers now ships it's cables with an insulating washer to prevent this! Prevention rather than cure springs to mind.. To get around this on my cable, I simply used a little more heat shrink tubing to insulate the base.. The screening on my reclaimed jack is certainly not ideal however, it is at least as good as Nokia's original design.. I managed to squeeze the passive components into the 3.5 jack by replacing the original shell with a longer one from an inline socket, both from Neutrik's budget Rean range.